dj_LHF-12x12-double, originally uploaded by queenshakenbake. 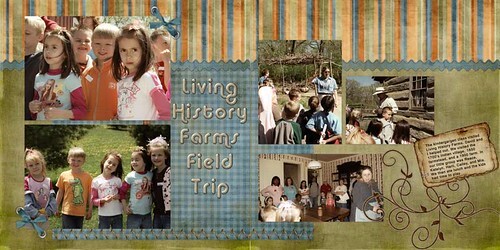 Last Thursday I went along as a chaperone with my granddaughter's kindergarten class to Living History Farms. I used Pioneer Woman's actions on my photos, and Doreen Stolz's Rustic Fields Kit from http://godigitalscrapbooking.com.